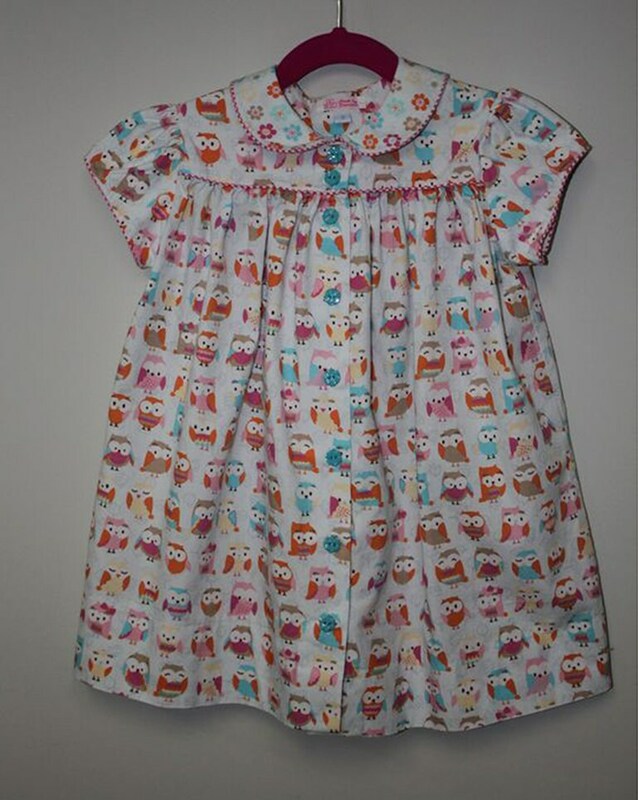 Ruthie is a versatile pattern for a basic yoke dress that buttons down the front. 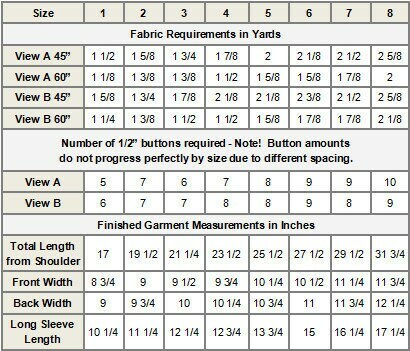 View A has a short yoke above the armhole, and View B has a longer yoke below the armhole. 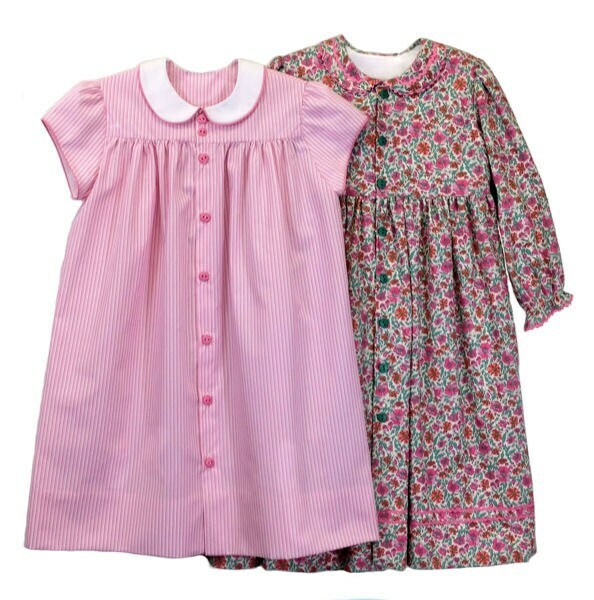 Both views have a one piece collar and can be made with either a lined, slightly puffed short sleeve, or an unlined long sleeve with elastic and a ruffle at the wrist. 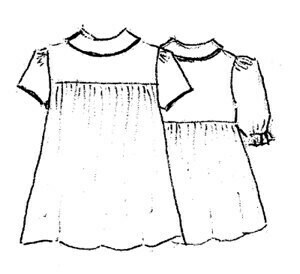 Because it has less fullness than some basic yoke dresses, it is not suitable for smocking.